the Frosty sweater is a design by Helga Isager from her latest book STITCHES. 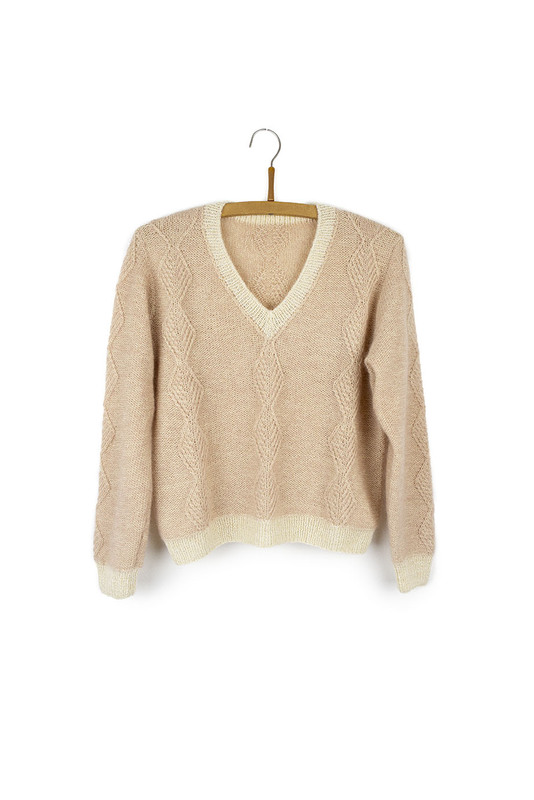 the wool : the design uses Spinni and Silk-Mohair from the Danish brand Isager. the needles are sold separately on the tools page. colors : the knitting kit exists in all our colors of Isager Spinni and Isager Alpaca 1 and Silk-Mohair. the biches & bûches kit : the kit includes the original yarn from Isager in the quantity for the chosen size and in the chosen color + the little biches & bûches knitting pouch. the pattern is in the booklet STITCHES by Helga Isager.